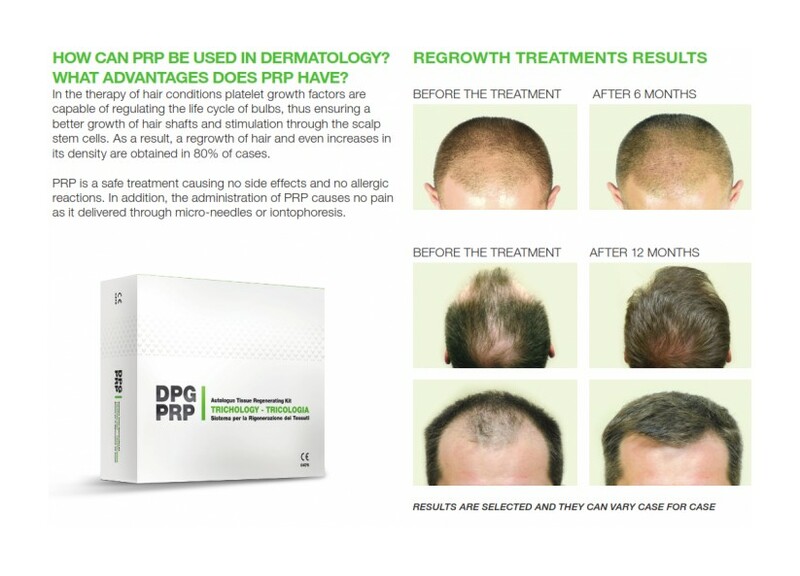 DPGPRP is a product of new generation, made according to advanced technology, intended to improve the quality and effectiveness of their use. They are all CE‐marked (93/42/EEC updated by Directive 2007/47/CEE) and further validated in accordance with numerous ISO certifications, such as ISO 9001:2008, EN ISO 13485:2012 and EN ISO14971 : 2009, ISO 10993‐1:2009, ISO 10993‐3:2005 and FDA. 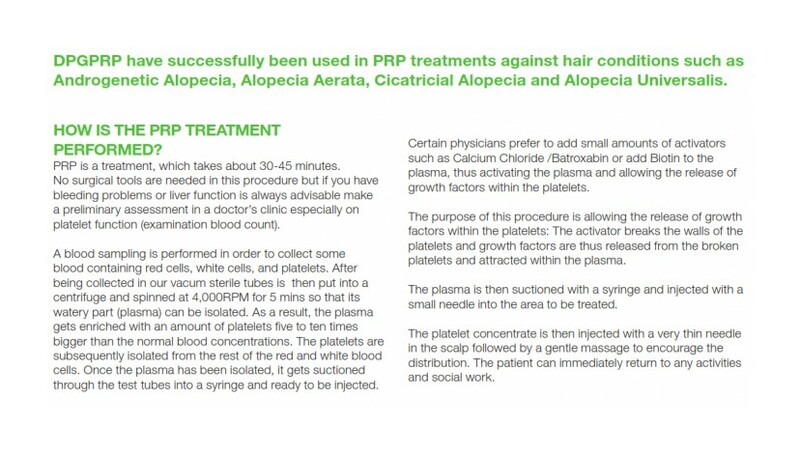 Normal price for one kit of PRP is 350 euro, but our present offer is of 200 euro. Price includes treatment administration which is performed by a qualified medical doctor. For consultation bookings, kindly fill in the below form and we will get in touch with you.